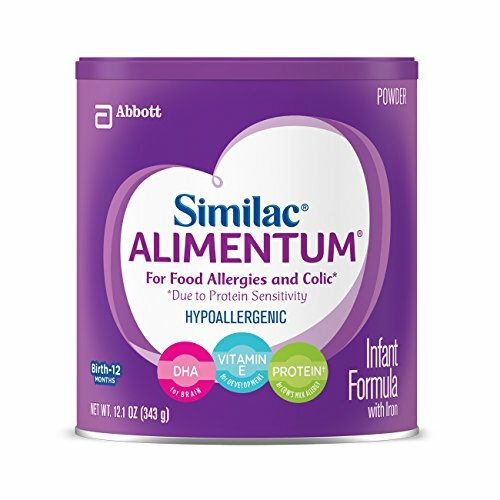 Similac Alimentum is a nutritionally complete, hypoallergenic formula for infants with severe food allergies, including those with colic symptoms due to protein sensitivity. Alimentum contains a predigested milk protein that is broken down into tiny pieces to virtually eliminate allergic reactions in most babies who are allergic to cow’s milk protein. Also available as a ready-to-feed and in a new value size that has over 60% more!‡ (‡63% more product as compared to Alimentum 12.1oz powder).